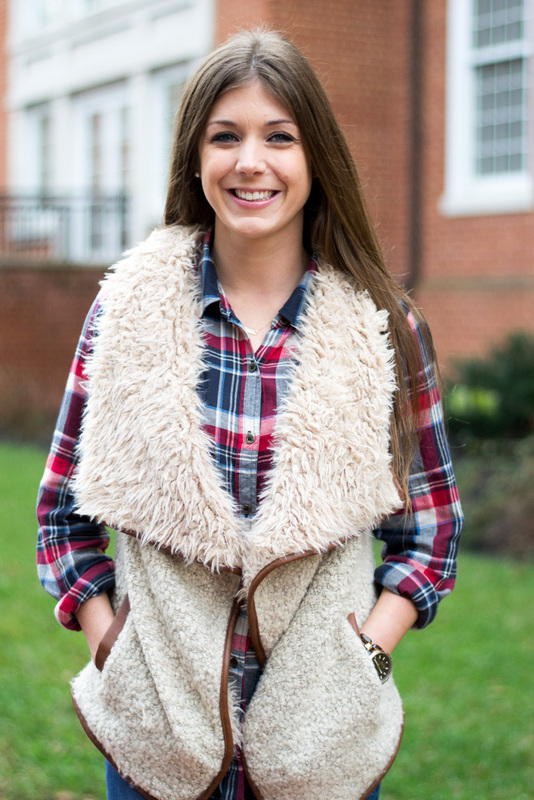 I bought this vest last year when I was still down in Columbia and fell in love with it! 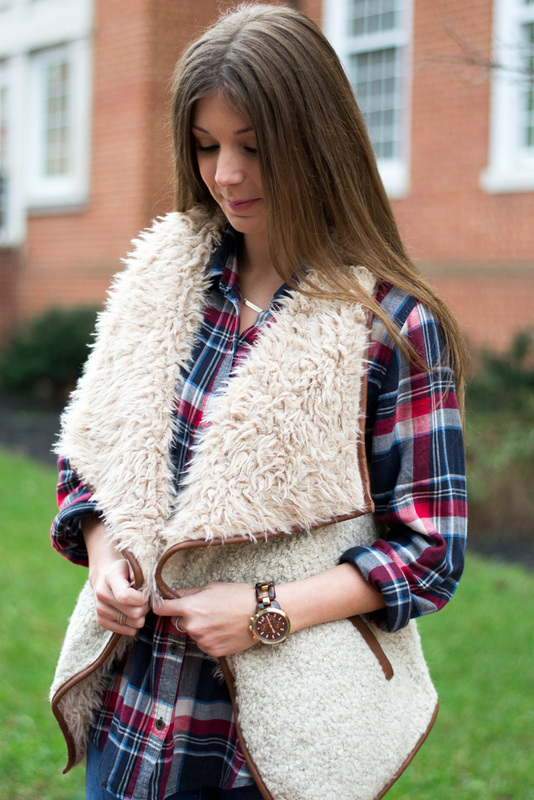 It is the perfect vest to wear when the weather is more on the chilly side. It worked great in South Carolina when I needed an extra layer after the sun went down. The entire vest is super soft and the inside is nice and thick, which keeps you warmer than a normal faux fur vest would. Here in Maryland, it gets a little colder than it does down south. I would wear this vest during the day, and then at night you could pair it with a thicker material top, like a sweater, or you could even layer a jacket overtop of the vest (it's not super thick where it would look goofy underneath a jacket). I mentioned before that you will be seeing a lot of plaid on Chasing Cinderella. I tend to wear plaid when I am going for a more casual look. But that is not to say that plaid can't be dressed up! I have seen others dress up plaid in the cutest ways, like Emily Gemma did here!